The Bergen tram network on the last day of operation of Line 3. Last days of operation: Line 1 – 31 Dec. 1965; Line 2 – 1 Dec. 1957; 3 – 24 Feb. 1950. Urban tramways (Bergen): 15 km. Light rail (Bybanen): 22 June 2010 - today. Light rail (Bybanen): 1435 mm. 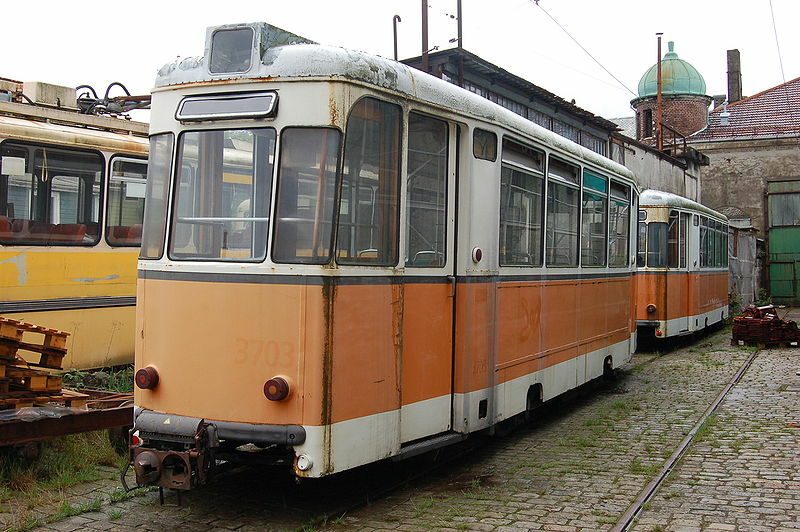 Bergen's Electric Tramway (Bergens Elektriske Sporvei) operates a 300m heritage tramway in Møhlenpris, near Bergen. "Bergen" (news item), The Modern Tramway, Apr. 1954 (17: 196), p.74-75. "Bybanen: Bergen Light Rail", Supplement to Tramways & Urban Transit, Feb. 2012 (75: 890), 21p. Carter, J.M. "Bergen - On top of the world - and it's a bargain", Tramways & Urban Transit, Feb. 2007 (70: 830), p.52-53. Simons, V. "Bergen's Bybanen: Light rail for the smaller city", Tramways & Urban Transit, Sept. 2010 (73: 873), p.330-333. Wyse, W.J. "The tramways of Bergen", Modern Tramway, Nov. 1963 (26: 311), p.375-384. Also, thanks to Maurits van Witsen from the Netherlands for information he has given me concerning the Bergen tramways.